The Design-Build Institute of America has released the first iteration of "Design-Build Done Right," identifying industry wide best practices for design-build project delivery. Tracking a project delivery timeline, the practices are grouped into three areas: (1) Procuring Design-Build Services; (2) Contracting for Design-Build Services; and (3) Executing the Delivery of Design-Build Projects. As design-build project delivery continues to grow, it is essential that students entering the building industry are not only exposed to design-build best practices, but are fluent in them. DBIA has always been committed to this principle and, in 2012, we partnered with the Charles Pankow Foundation (CPF) to improve student learning and entry level success in the construction industry. CPF generously provided three $10,000 grants to qualified universities to help them improve their design-build curricula. To further emphasize the importance of design-build best practices, we selected the grant recipients through a best value, or two step, process. We started by making a “request for qualifications” from the schools. The Advanced Metal Finishing Facility at Robins Air Force Base received a Design-Build Institute of America (DBIA) Design-Build National Award for its technical difficulties and excellence. Science Applications International Corporation (SAIC) provided design-build services in support of the $67 million cutting-edge facility upgrade, an improvement that will make working conditions much safer, cleaner, and greener for Base employees and the environment. Parsons is pleased to announce that it has been ranked among the top 500 innovators by InformationWeek, placing number 138 on the annual InformationWeek 500 list of top technology innovators in the United States. Parsons received this distinction for its PAR-LINK® technology, which helps infrastructure owners more successfully manage their large-scale programs. Mayor Rahm Emanuel joined Chicago Public Library Commissioner Brian Bannon, 25th Ward Alderman Danny Solis and local residents today to unveil the design concept for the new Chinatown Library Branch, which will open in 2015 and replace a rental branch that serves 21,000 patrons a month. Parsons and the University of Maryland have partnered to provide academic scholarships to current and future undergraduate students in the UMD Honors College Advanced Cybersecurity Experience for Students (ACES). Through a gift from Parsons, 24 scholarships will be awarded to high-achieving students during the next 3 years. In addition to the scholarships, Parsons will provide professional insight to students as well as expose them to varied career options in the field of cybersecurity. Work is progressing to build a recycled water pipeline from the east side of the Napa River to the Carneros area on the west side in California, serving a St. Regis resort project at Stanly Ranch and area property owners. The pipeline would run from Napa Sanitation District’s treatment plant, under the Napa River, to the St. Regis site off Stanly Lane, and then out to grapegrowers, ranchers and other property owners in Carneros. Parsons is pleased to announce that Engineering News-Record (ENR) Mountain States has recognized the U.S. 95 Sand Creek Byway project, in Sandpoint, Idaho, with its Best Project award in the highways/bridges category. When Kaiser Permanente opens its massive, 1 million square foot Oakland, Calif., Medical Center Replacement Project early next year, staff, patients, and families may notice something peculiar about the place. Open almost any door in the complex and they'll find a stamp-size, red-and-white emblem affixed to the hinge side of the doorjamb. A closer look will reveal the logo of McCarthy Building Companies at the center of the label. Irish dignitaries, including Taoisech Mr. Enda Kenny, T.D., recently joined Gerry Behan, chief executive officer and president of then Kerry Ingredients & Flavours Division of Kerry Group plc and senior executives of Gilbane Building Company to celebrate the groundbreaking of the Kerry Group's new Global Innovation and Technical Centre, a state-of-the-art 26,200 square meter (282,000 square foot) facility that will bring 900 jobs to the area. Gilbane Building Company, which previously built a similar facility for Kerry Americas in Wisconsin, is leading the design/build effort and construction through its new Irish division, Gilbane Ireland Limited. The Metropolitan Water Reclamation District of Greater Chicago has selected Black & Veatch and Ostara Nutrient Recovery Technologies to design and build a new nutrient recovery system at its Stickney Water Reclamation Plant in Cicero, Ill. The facility will improve water quality in local rivers, lakes and streams. It will also produce commercial fertilizer from recovered resources. Parsons is pleased to announce that it has hired Jay Watkins as vice president of strategic development. In this role, Mr. Watkins will contribute to business development through the management and refinement of Parsons' transportation strategy and by focusing on key customer relationships throughout North America. Parsons Corp. announced that it has hired Mary Cay O’Malley as vice president of engineering design services. In this role, O’Malley will provide project and engineering management support for Pasadena-based Parsons’ transportation projects. She will focus on design-build pursuits and the initial setup of other large, complex projects. Maryland Lt. Governor Anthony Brown, Harford County Executive David Craig, and Maryland State Highway Administrator Melinda Peters celebrated the completion of the newly-improved US 40 (Pulaski Highway) and MD 715 interchange in Aberdeen on Sept. 9, 2013, marking the culmination of a nearly three year, $17.8 million project. In 2007, the city of Santa Paula, Calif., replaced its noncompliant wastewater treatment plant with a new water recycling facility after voting to proceed under a public-private partnership (PPP). The city entered an agreement with Santa Paula Water, LLC, who also entered an agreement with PERC Water Corporation to design, build and operate the new facility. Plan approved to streamline bid process for projects in Chesapeake, Va. The Chesapeake, Va., City Council approved a plan recently to streamline the bidding process for city projects, allowing officials to choose a single contractor rather than selecting separate ones for design and construction. On its 2013 report card, the American Society of Civil Engineers gave U.S. water infrastructure a D. Even the nation’s best water systems are ancient - we have over 240,000 water main breaks each year - and unprepared for a mix of current challenges that includes climate change, tightening budgets, growing urban populations, and pharmaceutical contaminants. This spring, after record-setting rains, Detroit had no choice but to pour several hundred million gallons of raw sewage into the Great Lakes. The O. H. Ammann Research Fellowship in Structural Engineering, which is bestowed annually to a member for the purpose of encouraging the creation of new knowledge in the field of structural design and construction. The O. H. Ammann Fellowship was endowed in 1963 by O. H. Ammann, Hon.M.ASCE, and was increased in 1985 by Klary V. Ammann (widow of O. H. Ammann). Adam writes, "As a builder and architect, I've been doing design-build work for 30 years. I grew up building, so I’m a builder at heart. Later I got my architect's degree and license, but the reason I don't just practice architecture is that I want my designs built right." Engineers think that three of the bridges closest to Dave Wisler's home are about ready to collapse. One, a picturesque one-lane structure built in 1893, became so perilous it was closed last summer, and the county doesn't have the money to fix it. Start your 2013 Design-Build Conference experience off right – sign up for DBIA's 3rd Annual Charity 5K Fun Run/Walk scheduled for Monday, Nov. 4, in Las Vegas. This year, proceeds will benefit Goodie Two Shoes Foundation, which provides disadvantaged children and children in crisis with new shoes and socks as well as other items deemed essential for good health and positive development. Register now. 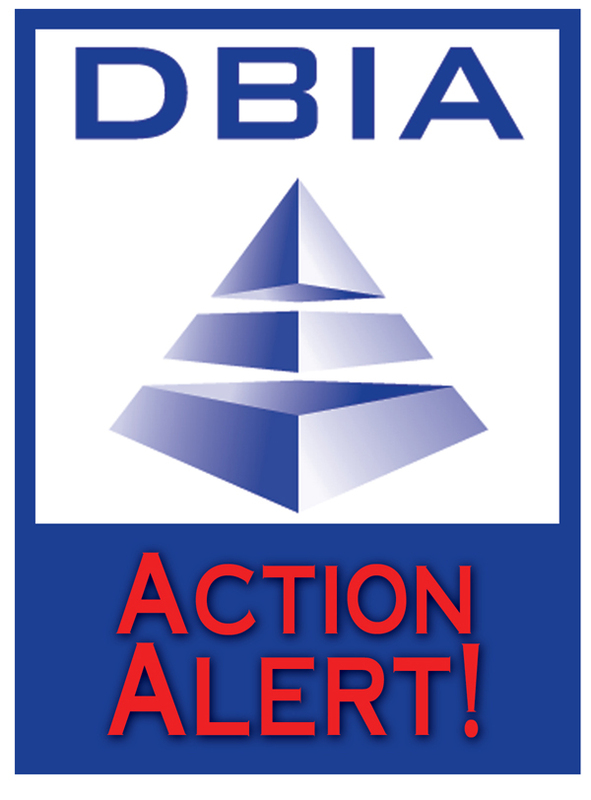 DBIA is introducing a series of webinars on best practices. The four webinars already presented are archived and available as recordings. There will be additional webinars presented later this year. Each 90-minute webinar qualifies for continuing education credit (1.5 CEUs) for both DBIA and AIA. Nearly seven out of 10 people read online reviews before making a purchase. And in the business-to-business world, reviews are even more important in the decision-making process. To help in your purchasing decisions, we are pleased to announce that we've now incorporated business reviews into our Design-Build Insight Directory. Now you have the opportunity to share your experiences about a company's products or services with your fellow colleagues, or read what others have to say about a potential future vendor. And to help build our database of reviews, we're offering you a chance to win a trip to Hawaii just by writing a review! Visit Design-Build Insight Directory to search for a company and write a review.